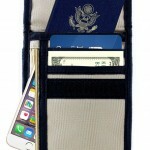 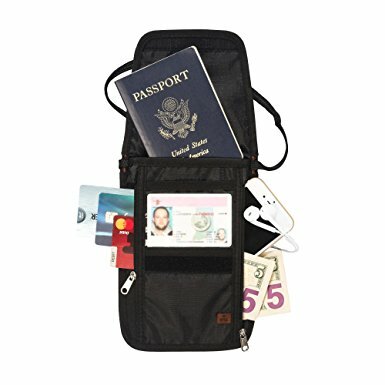 The IGOGEER Deluxe Passport Neck Wallet is a sturdy, uniquely designed neck wallet with plenty of compartments. 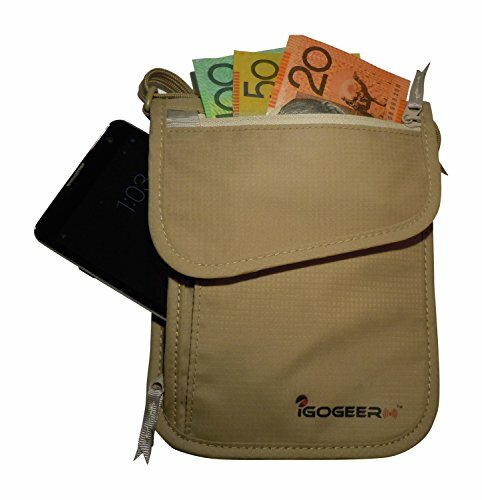 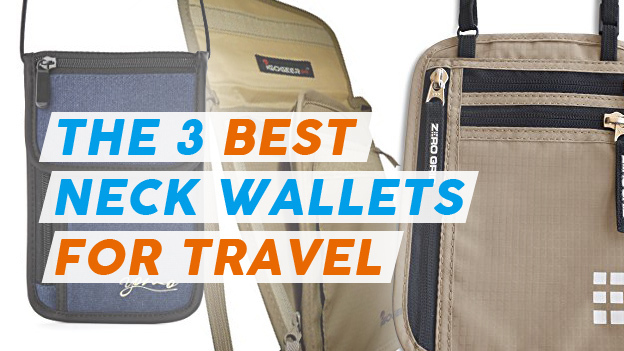 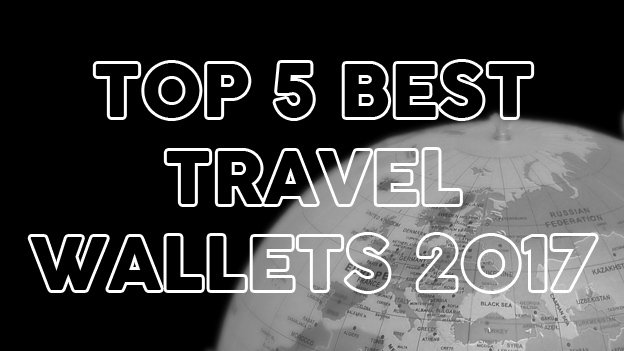 How Does the IGOGEER Deluxe Passport Neck Wallet Stack Up? 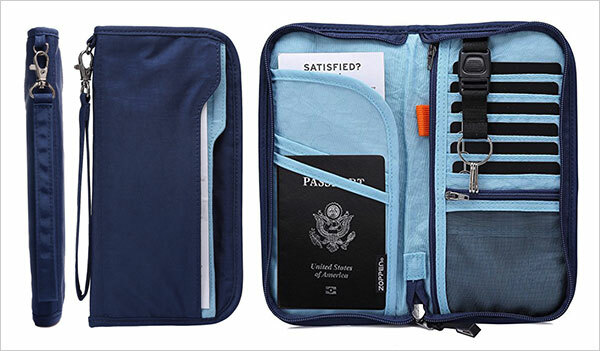 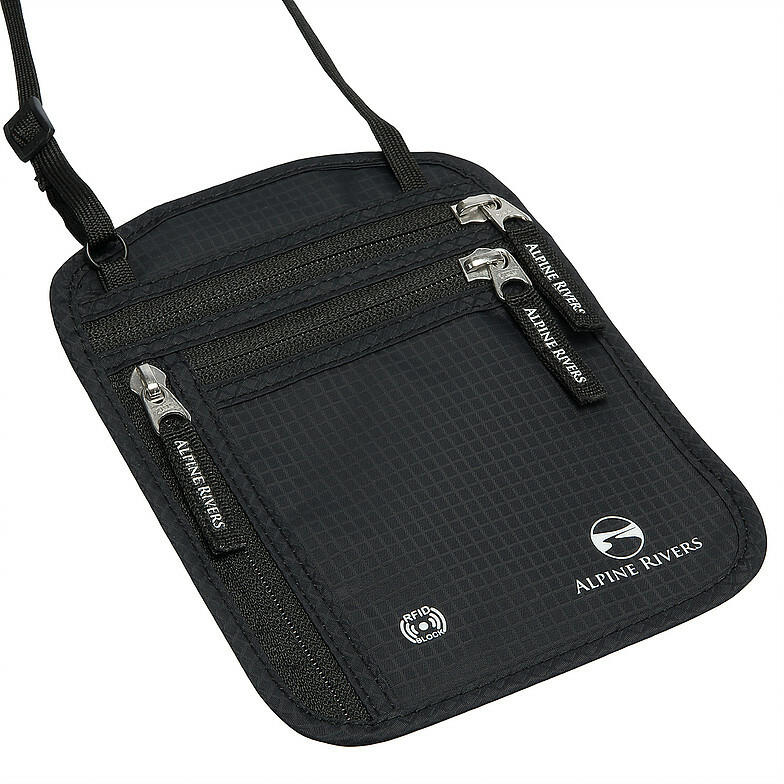 With 3 zippered sections, 5 pouches and 4 credit card slots, the IGOGEER Deluxe Passport Neck Wallet offers a great solution for someone who likes to keep their travel documents and money safe. 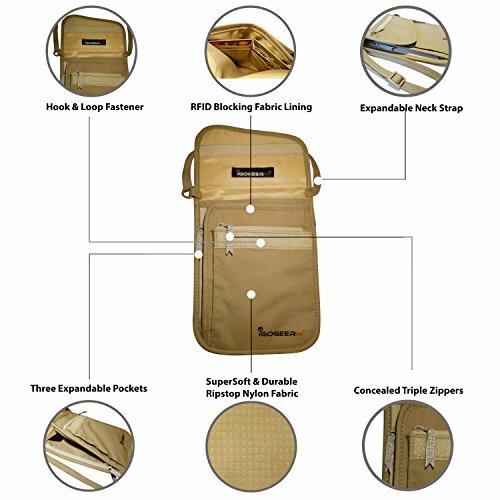 It’s quite compact compared to other products, trading height and width for depth. 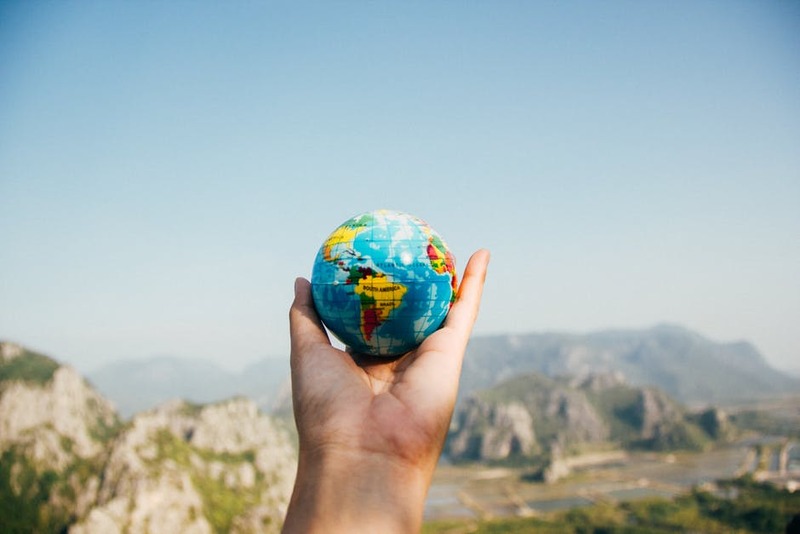 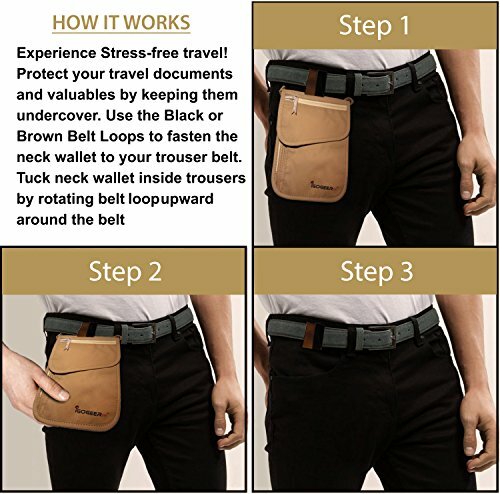 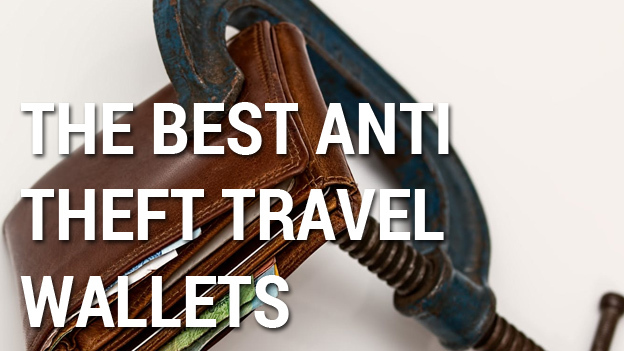 In other words, if you pack the neck bag with a few passports, cash, boarding passes and phone (which it has plenty of room for) it might feel a little thick under your shirt. 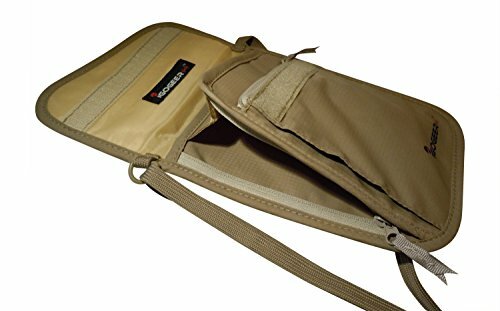 It is incredibly well made and the straps in particular have a great stretchy but not cheap elasticy feel to them. 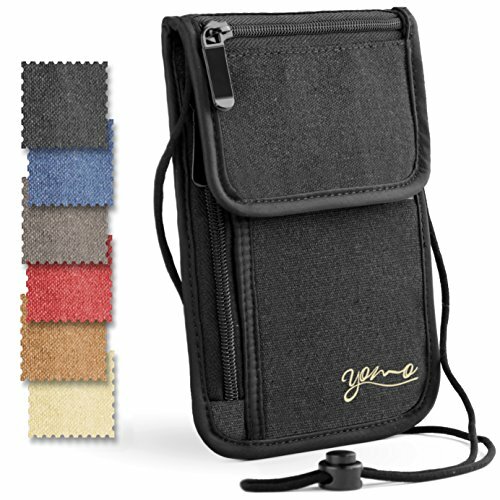 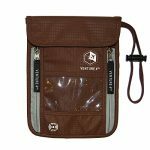 The stitching looks good all the way around the wallet and the material is classic 210D Nylon ripstop (polyester lining). 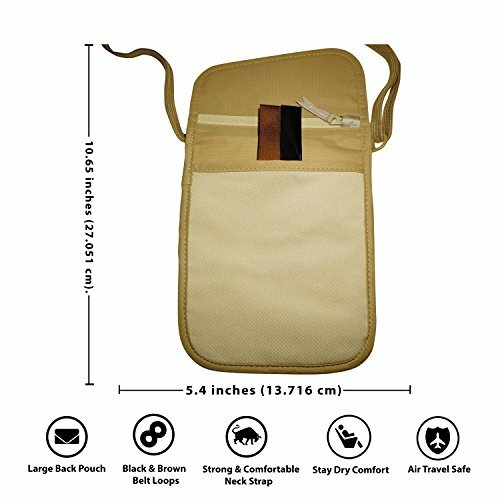 Aesthetically, it’s not the most attractive neck pouch I’ve come across. 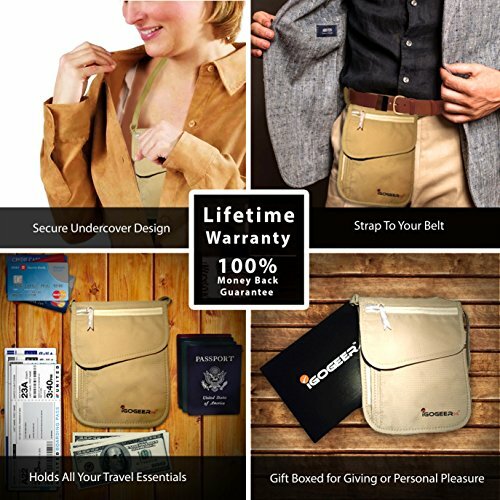 Although the design is unique and it’s construction durable, I feel like it’s one of the less stylish offerings in this category. 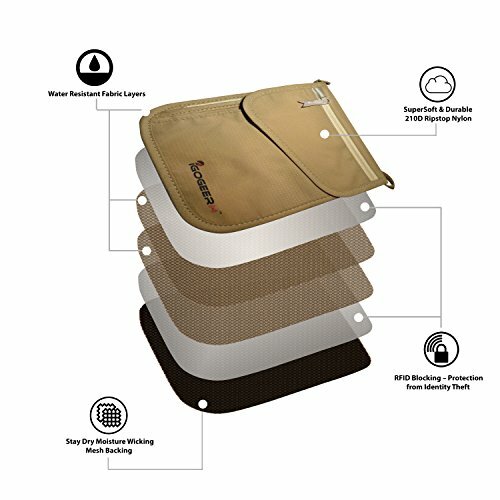 The lack of color choice could also be an issue, the standard beige being the only color available. 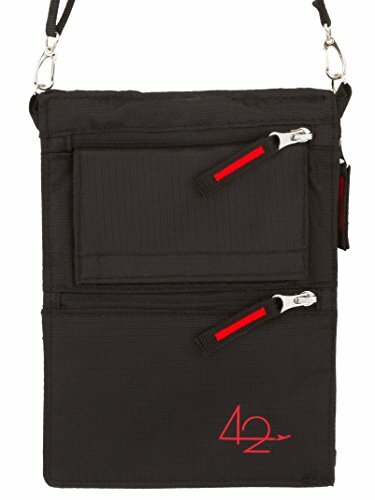 I really love the 4 slots for cards in the main pouch and the smallest zippered compartment big enough for coins, keys or folded bills. 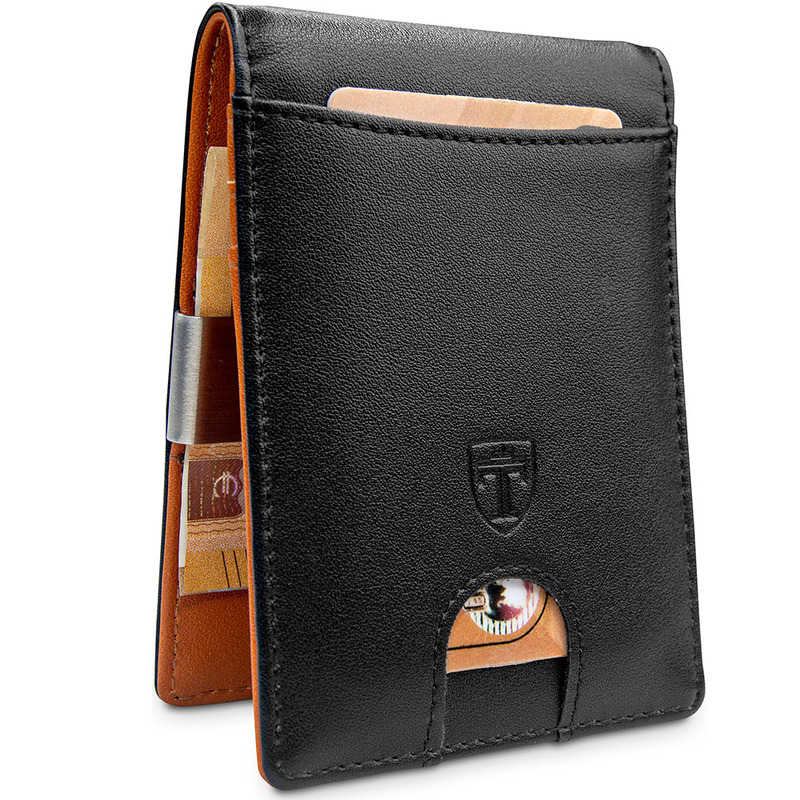 The design is unique, with a pocket that opens from the side, but is secure when the wallet is closed. 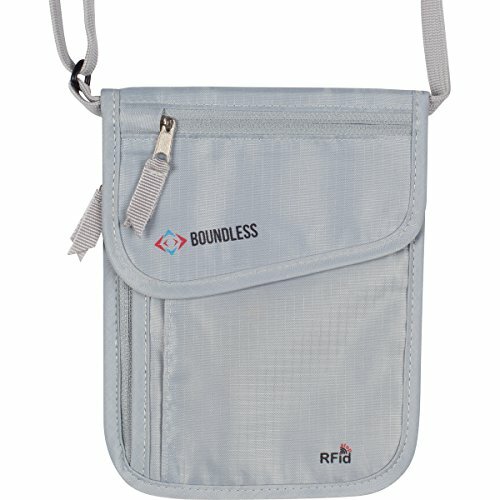 Another little bonus is a couple of hoop style straps that sit in the back pocket for easy hanging if you want to keep your travel pouch nearby. 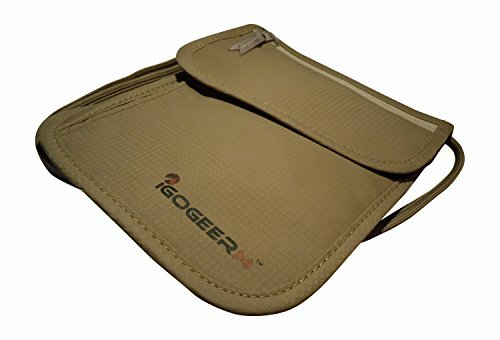 Click here to see the whole range of IGOGEER products on Amazon. 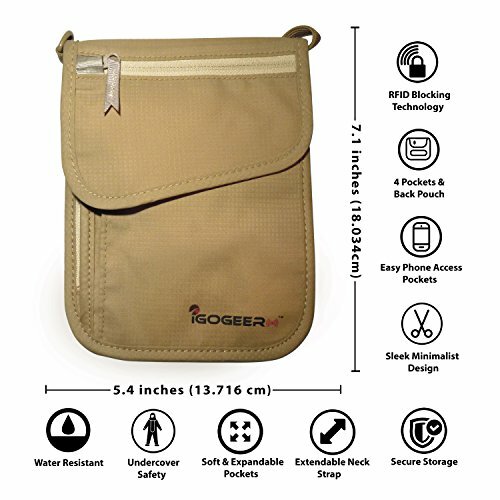 This is an innovative product from IGOGEER and would suit the seasoned traveler. 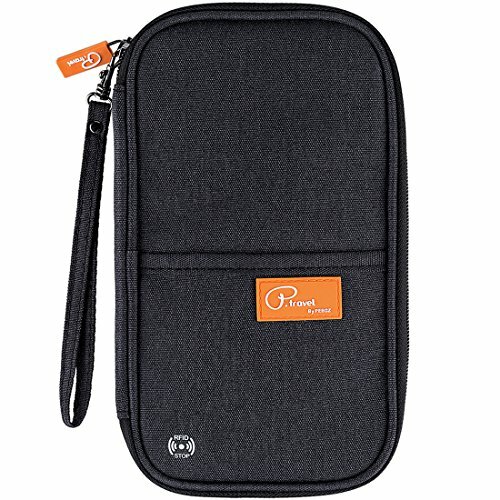 It's incredibly well made and not as tall and wide as it's competitors, if it only looked a little nicer and provided a few more color options.